It is, essentially, one long sticky note, on a tape dispenser, so you can tear off as much as you need and stick on to whatever you want. It comes in yellow and blue. And to make it even better – they have grid squares! I found it them Fred Aldous for £5.75 each. I hadn’t heard of Marks Inc. before, but surprise surprise, like most great stationery things, they’re Japanese. 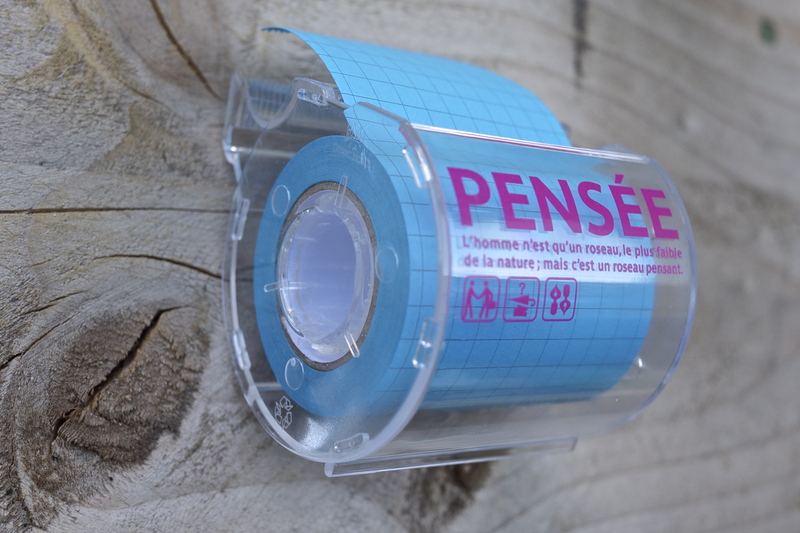 It seems like they have an enormous catalogue of products, and Pensée is just one of their ranges. I think there must be some sort of French affiliation with the company, but their website is a little confusing/in Japanese so I’m finding it difficult to work out. Either way, I’m glad I know about them now. 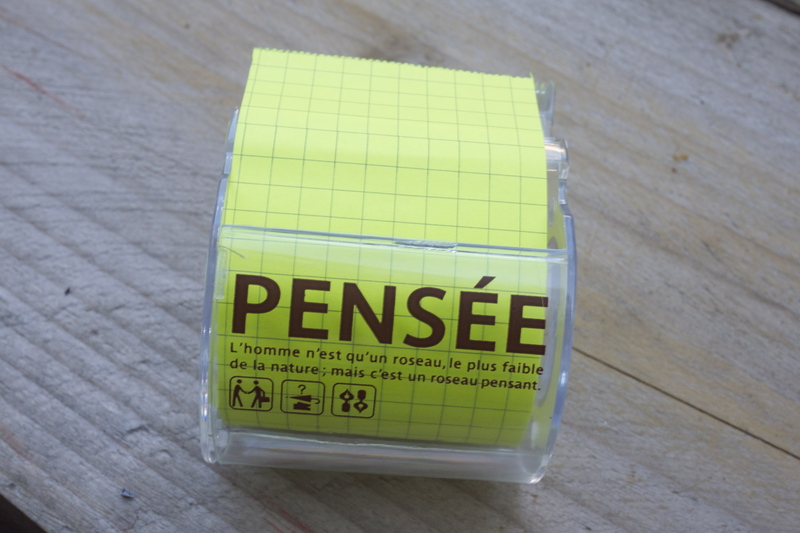 Pensée translates as “thought” and the writing on the dispenser seems to say “man is but a reed, the most feeble thing in nature; but he is a thinking reed” or something to that effect. So… errr… yeah…! When we were in NYC I remember being handed one of these pens to sign for the bill in a restaurant. I’d never heard of it before and made a mental note. It’s a simple design but it wrote really well and had a very fine tip (I do like a fine tip). I only just remembered now and looked them up. They’re made by Marvy Uchida, an American company, and as I’m learning, they don’t ship internationally, and nor do they seem to have any UK stockists. As you can see, it’s 0.5mm. And the rubber is in the tip of the lid. How does it work? Nobody knows… Ok, that’s a lie. 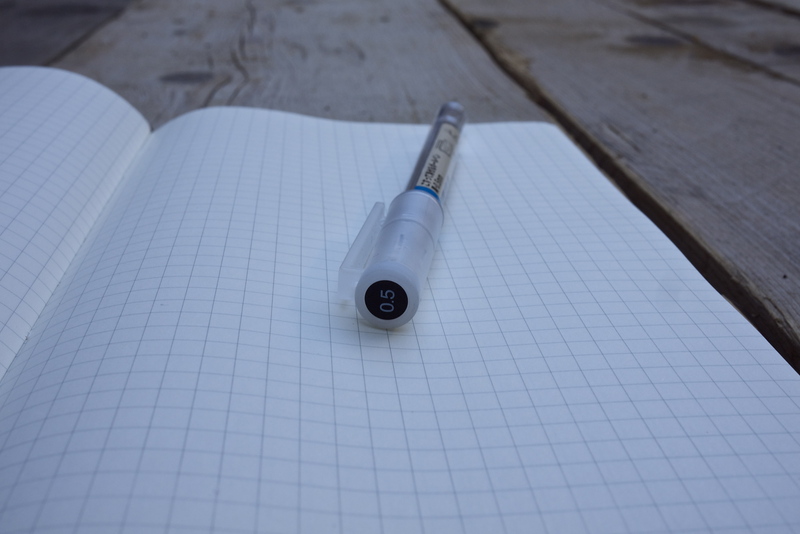 According to MUJI’s website: “The frictional heat generated by the eraser at the end of the pen erases the ink immediately” so there you go. But I prefer to think it’s magic. And here it in in action (sorry for the different lighting, I took these later). It erases well, as you can see. You can still see it a bit on the paper, but no more than you would if you were using a pencil. Personally, I use them most for knitting patterns. This is because patterns are usually printed on shiny paper, which you can’t write on with pencil. This pen allows you to tick off where you’ve got to, but then rub it out when you’re finished so the pattern is good as new! So there you go, this is definitely one of my top products. I know there are plenty of other erasable pens out there but MUJI just somehow make it cooler than the rest. I’m starting a new series, the WANT LIST. My problem at the moment is that I keep buying all the stationery things I want, rather than just covet them. So in the interest of not being bankrupt, I will be posting about lovely things I have seen but don’t necessarily NEED to own. I walked home today (4 miles in a very tight pencil skirt, in 25 degrees…), through London City, with it’s luxury shops, and it was the Smythson shop caught my eye. 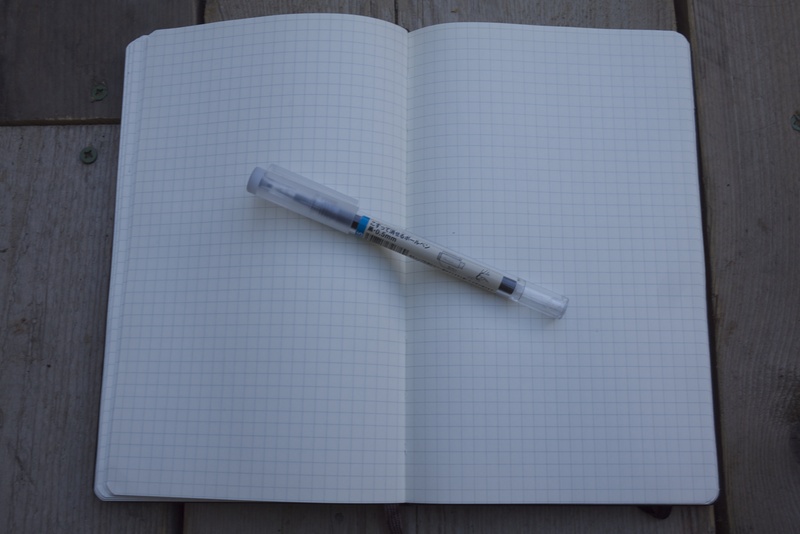 Their pocket notebooks really are a thing of simplistic beauty, with their leather covers and lightweight paper. Some of them have embossed titles, such as ‘Blondes, Brunettes, and Redheads’, ‘Dare to Dream’, and ‘The Boss’, but I prefer to keep it simple, either plain, or ‘Notes’ are the classiest ones I think. Anyway, after seeing the price – £45!!!!! – I think this’ll be staying firmly on the ‘want’ list. I can’t ever imagine thinking anything I had to write down is quite that important! 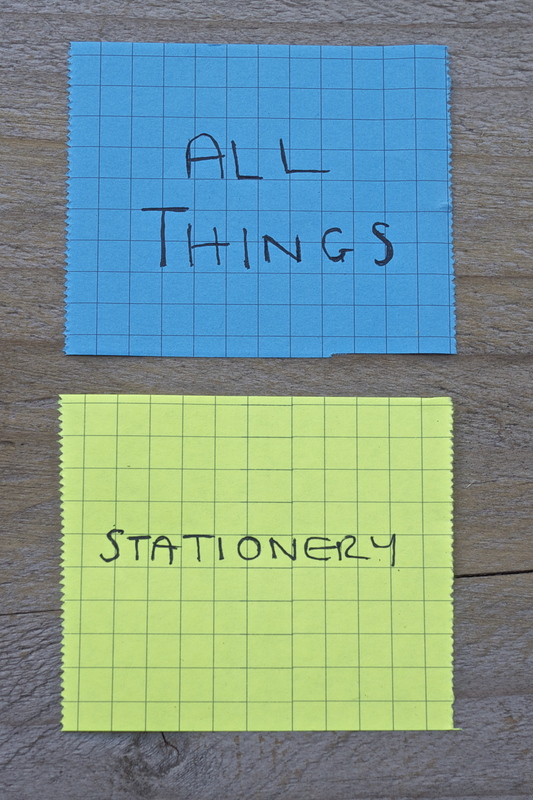 What stationery items are on your want list?